HBO’s Game of Thrones has been an incredible worldwide success since it first appeared on our screens in 2011. 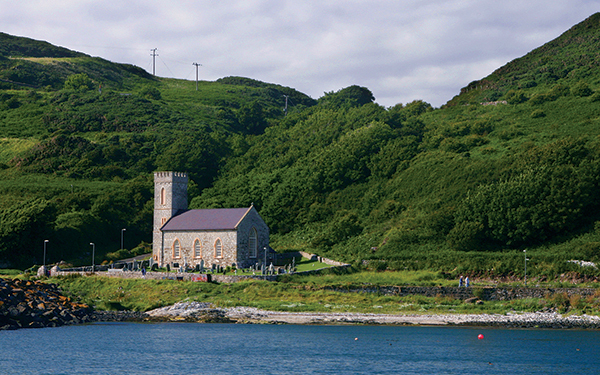 With much of the filming undertaken here in Northern Ireland our country has slowly become The Real Westeros and you now have the opportunity to see the sights and walk the footsteps of your favourite characters. Below is just a sample of what can be seen. 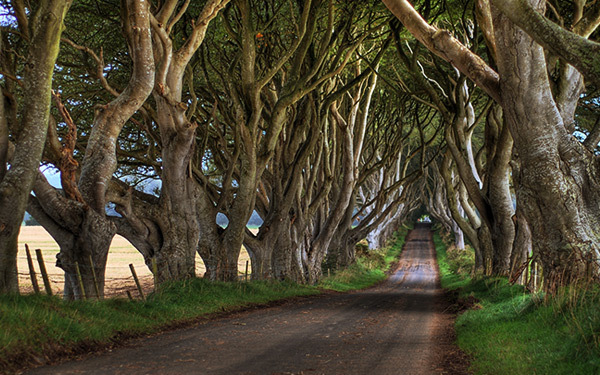 The Dark Hedges, a beautiful avenue of beech trees originally planted by the Stuart family in the 18th century, featured as part of the King’s Road when Arya Stark escaped from King’s Landing in season 2. 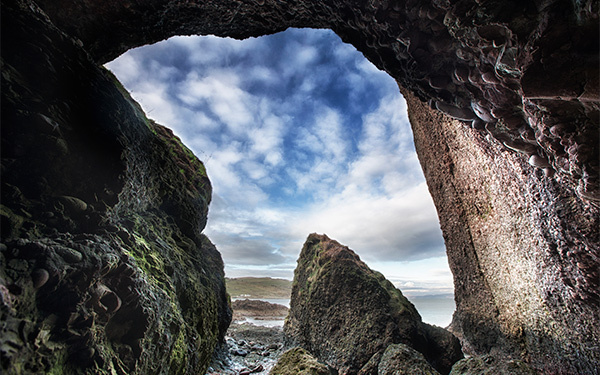 Cushendun Caves, a natural delight formed over thousands of years at the hands of the sea, witnessed the birth of the Shadow Baby by Melisandre in season 2. Murlough Bay has long been known by locals as an area of outstanding natural beauty but now a wider audience knows it as the spot where Theon Greyjoy first meets his sister Yara again in season 3 after years of captivity at the hands of the Starks. 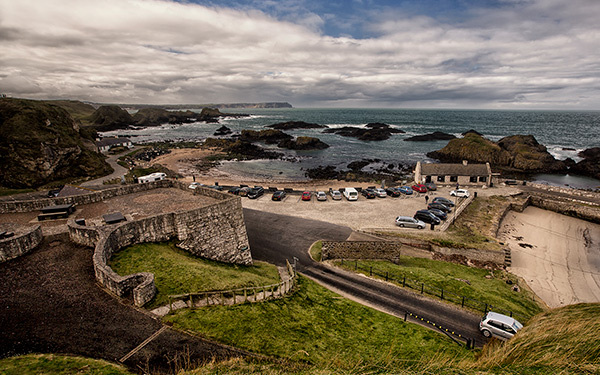 Ballintoy Harbour and the surrounding beach regularly features as part of the Iron Islands and fans may recognize it as the scene Theon Greyjoy first sees as he returns to the Iron Islands. 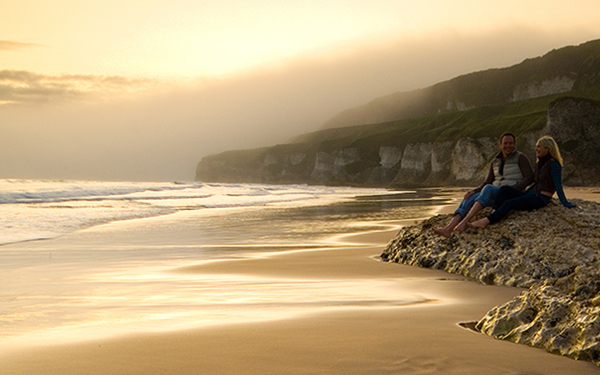 Downhill Beach, a glorious stretch of sand found underneath the magnificent Mussenden Temple, was transformed into Dragonstone in season 2 where Melisandre famously chanted “For the night is dark and full of terrors”. 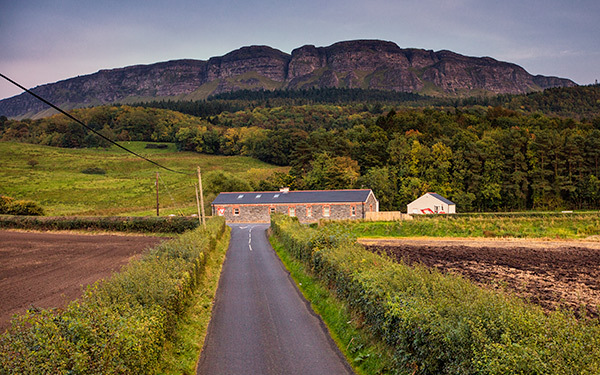 The majestic Binevenagh Mountain, just outside Limavady, was the final setting in season 5 when Daenerys Targaryen is simultaneously abandoned by her dragon and surrounded and captured by the infamous Dothraki horde.